Daniel Raufast, inspired by the revolutionary spirit of Parisian students – and, according to legend, a poster for the musical Hair – creates the first Kickers boot. This radical new style of footwear is made of nubuck leather but ‘born from denim’, paying homage to the favoured material of the freewheeling peace-and-love generation. 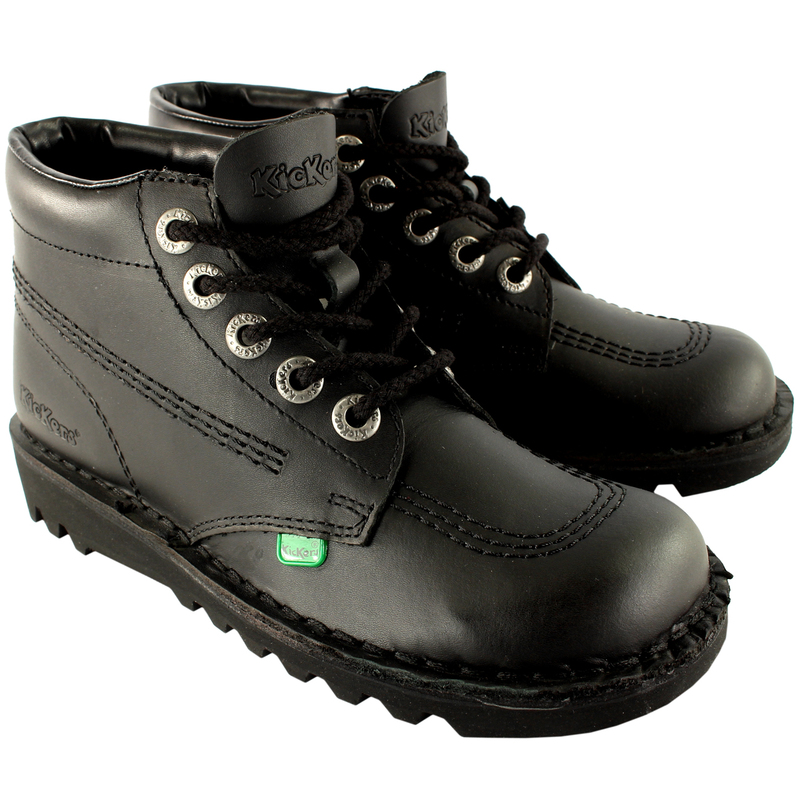 Its unique features – contrast triple stitching, engraved eyelets, the logo ‘hot-branded’ on the back of the shoe, and of course the Kickers ‘fleurette’ – remain classic emblems of the brand to this day. Kickers were some of the favourite choices for ravers and fans of Acid House in the 80’s. Worn by the likes of The Stone Roses, Noel Gallagher and Jarvis Cocker, Kickers have been a huge hit over the time of several musical eras and have even made an urban appearance on the feet of Ms Dynamite, The Kaiser Chiefs and The Arctic Monkeys.